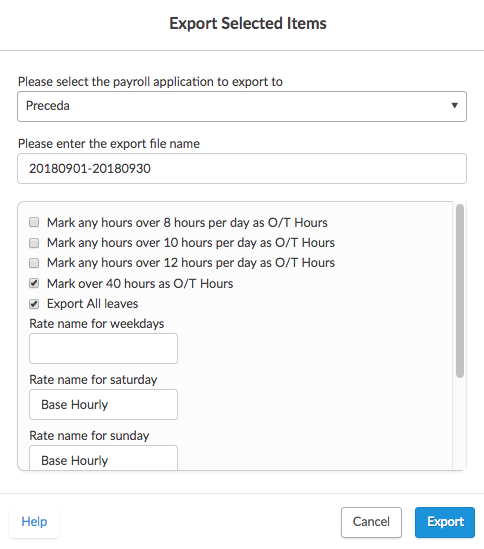 This guide shows you how to export to Preceda. In the payroll application drop-down list, select 'Preceda'. You can also change the rate name for weekdays, Saturday, Sunday, public holiday and overtime. The file should look similar to the image below and is used to upload to Preceda to complete your payroll process.